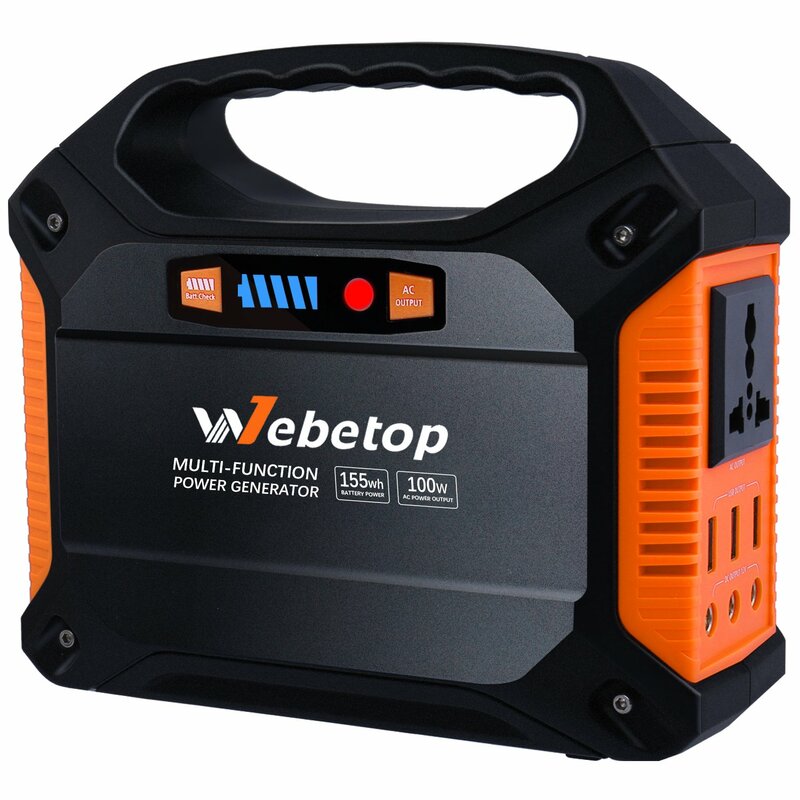 POWERFUL AC, USB and 12V DC OUTPUTS: It includes variety of outputs, 110V Dual AC outlet(sine wave max 100W, peak power 150W) for laptops, tv, fan, Christmas lights etc / 3* 12V DC ports(max 180W, with an cigarette socket cable) for car vacuum, car refrigerator, car air fan, car charger etc/ 3* 5V USB ports for phones, iPad, gps, mp3, camera, rc helicopter etc. 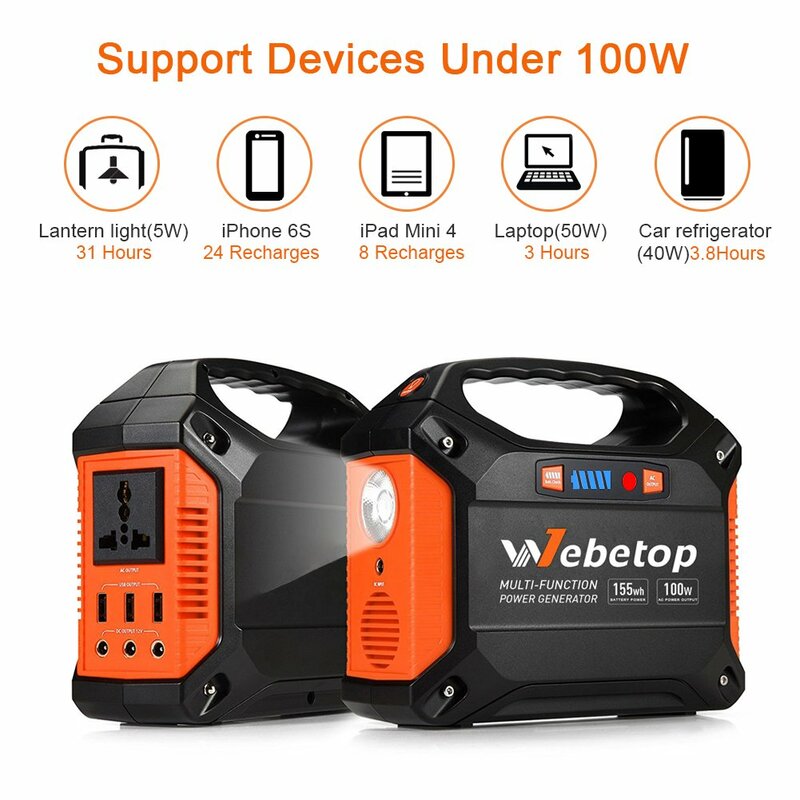 Perfect for emergencies,camping or wherever you need power anytime. 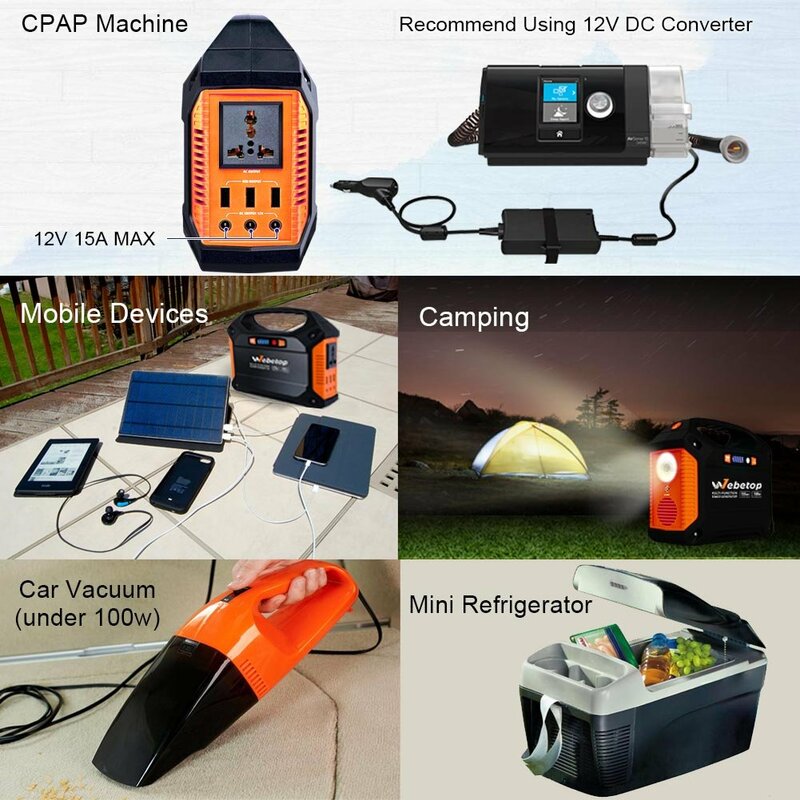 EASILY RECHARGEABLE VIA SUN,WALL OUTLET AND CAR: Easily be charged by solar panel(13V-24V/over 18W). Where there is sunshine, there is power. 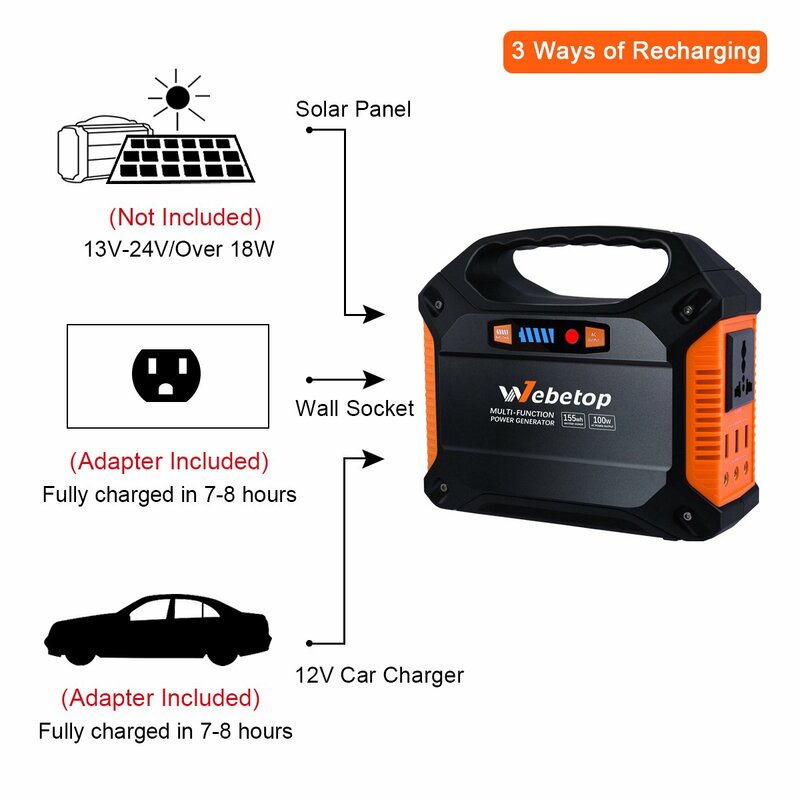 /or by wall outlet(7-8 hours fully charged,power adapter included) /or by car 12V adapter(car charger included). Easy and Fast! 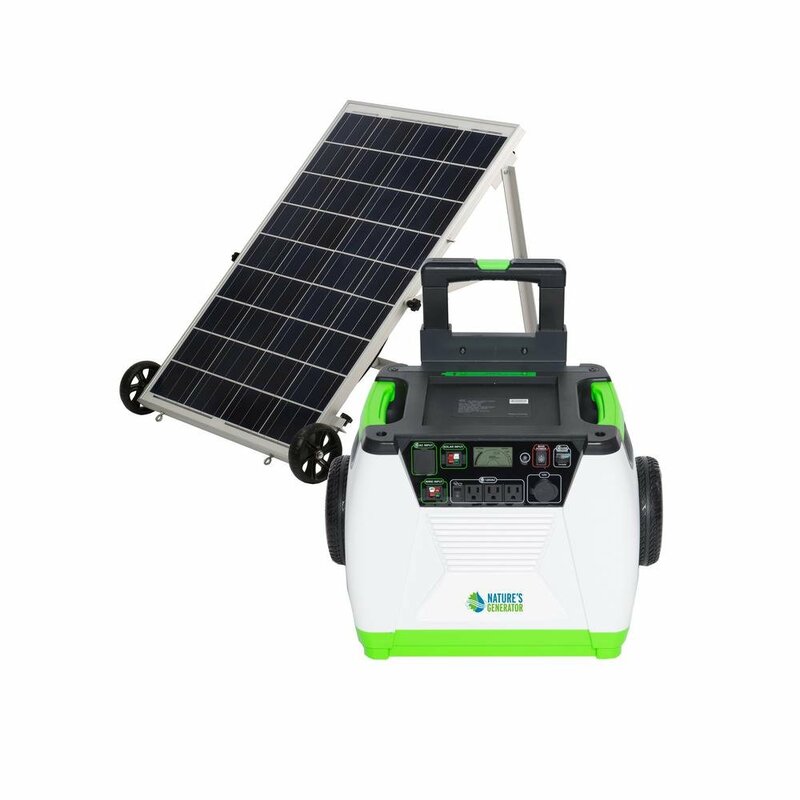 / Kindly Notice: The solar panel is not included with the generator, you need to buy separately! Work for All power 18V-24V,18W or over 18W of solar panel: you can search Asin “B013E07FNM” on amazon. It is newest upgrade version in the market. 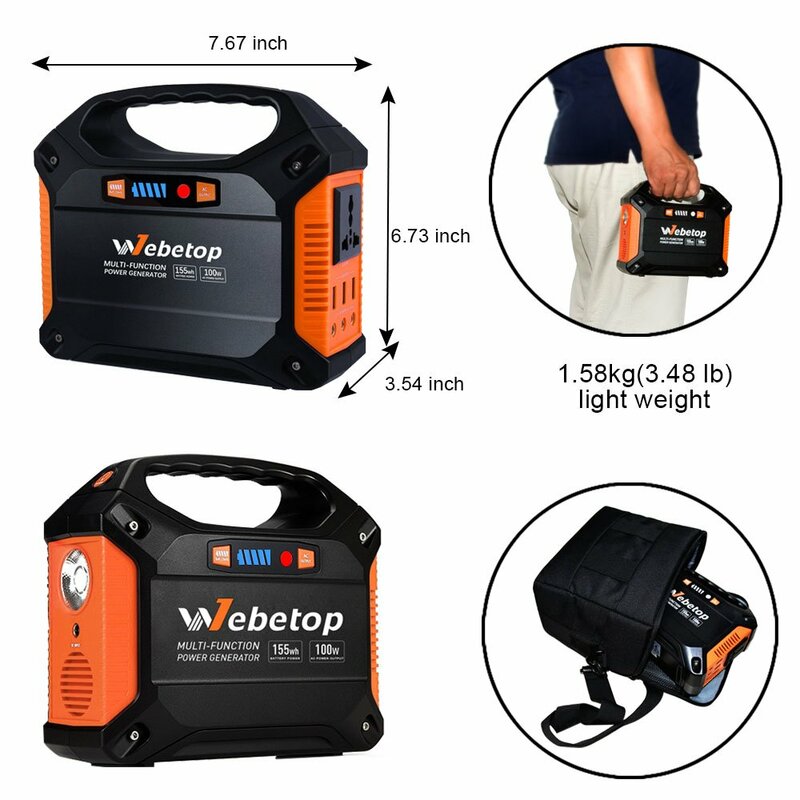 Great for emergencies,camping,weekend trip or wherever you need power anytime. 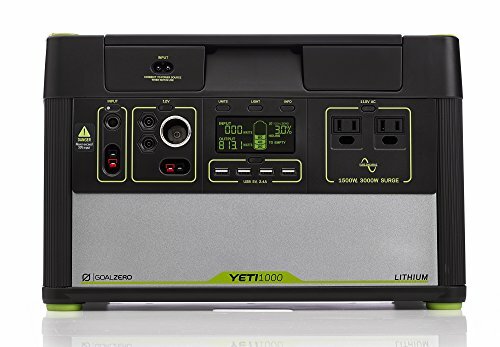 Runs quiet, no heat, provides great stable power but notice not over 100watts. LED light is very convenient too,one button switch to blink mode. With 3* 5V USB ports for phones,iPad,gps,mp3,camera etc. Notice: the package come with power adapter,car charger and cigatette light adapter too. 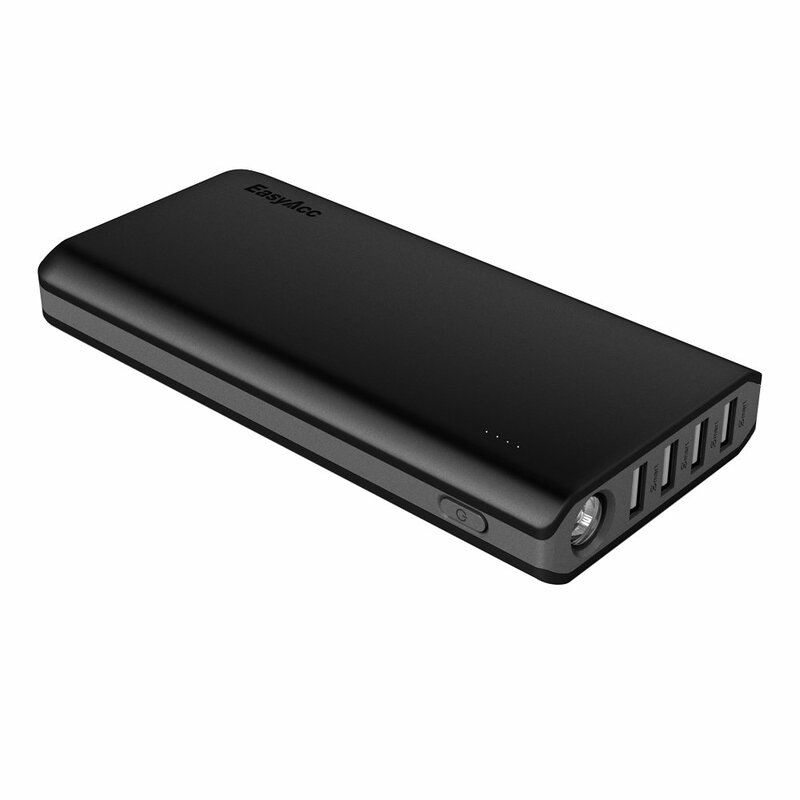 MINI PORTABLE & HIGH CAPACITY: The silent 155WH 42000mAh lithium ion batteries only weights 3.48lb with size 7.67*6.73*3.54 inch, possibly the smallest size in the market, cute and easy to handle. 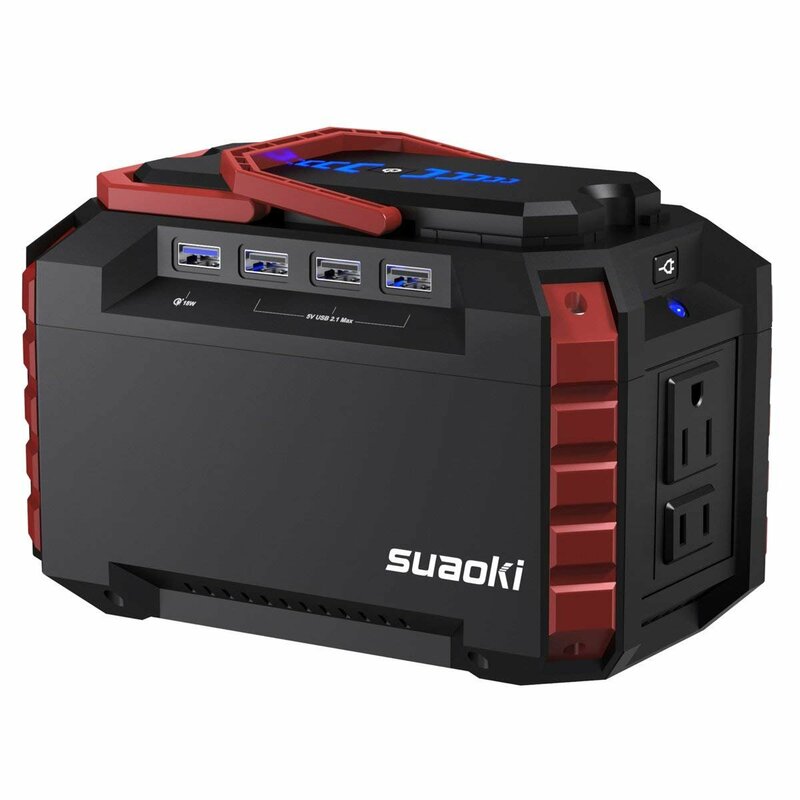 we can easily put it in our backpack or car, take to everywhere need power. 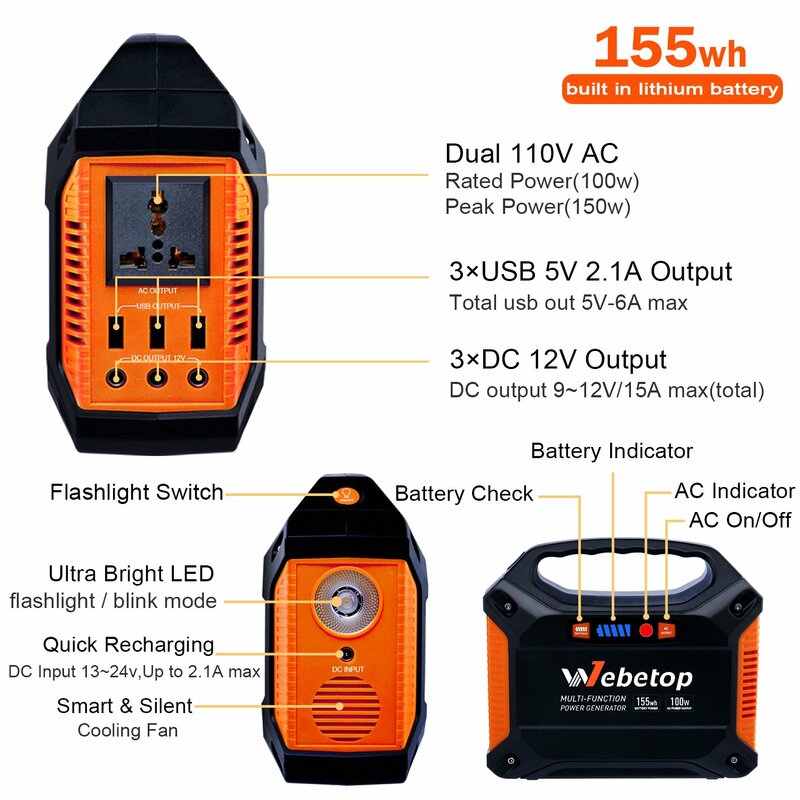 ULTRA BRIGHT LED & MULTISAFETY GUARANTEED: It is powerful with bright led flashlight(125 hours), one-button switch to blink mode, good for outdoor illumination or emergency./ Our leading advantage is in safety operations. We use BMS (battery management system) to improve battery utilization, prevent short circuit /over current /over power /low voltage /over temperature, ensuring complete protection for you and your devices. NO DANGER, NO WORRIES!